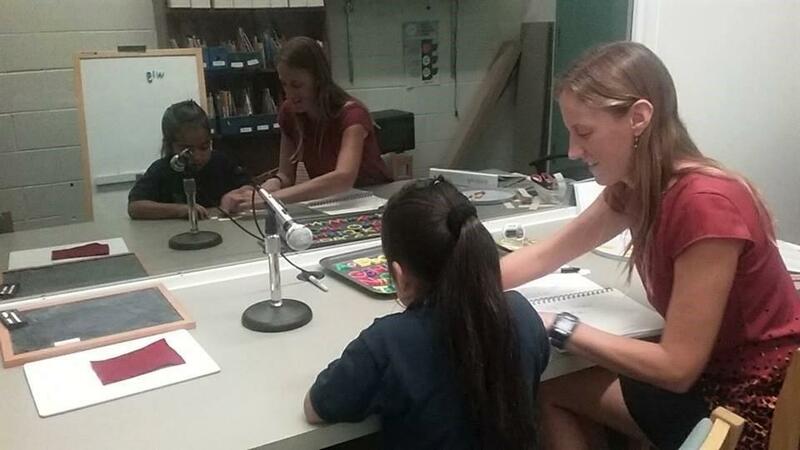 Andrea Licona-Fuantos spends 30 minutes each school day at Tuttle Elementary School in Sarasota, with Amy Bates, one of the district's Reading Recovery specialists. 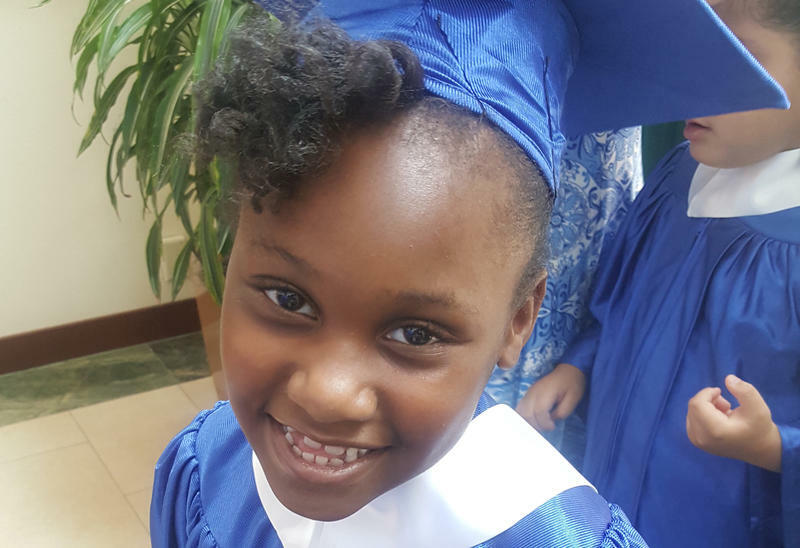 Each spring, third graders in Florida's public schools are required to take a reading exam, and a failing grade could result in a student being held back. Supporters of the mandatory state test say it helps catch struggling readers early. But in Sarasota County, educators and community leaders think third grade intervention isn't soon enough. In 2015, the school district introduced an early learning literacy program at three low-income elementary schools. It focuses on getting first graders who are behind in reading up to the same level as their classmates. Last year, the program called Reading Recovery expanded to 10 Title I schools. And this year, it is in each of the school district’s 23 public elementary schools. Reading Recovery, which typically runs from 12 to 20 weeks depending on a child's progress, features daily half-hour one-on one tutoring sessions for the student. Sarasota County Schools Asst. 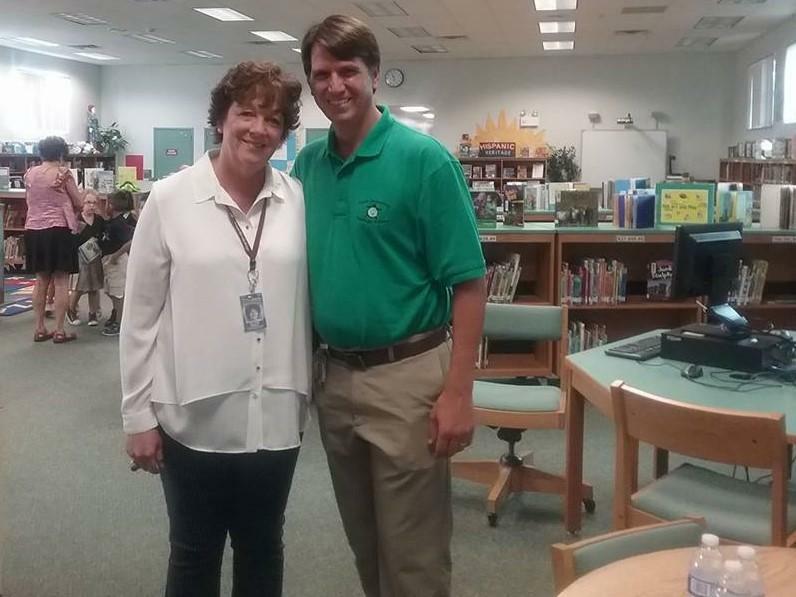 Superintendent Laura Kingsley and Tomas Dinverno, principal of Tuttle Elementary School. Sarasota Assistant Superintendent Laura Kingsley says the program is beneficial because in first grade, students are learning to read. By the time that test comes around in third grade, educators want to make sure these same children have shifted and are reading to learn. One unique aspect of the program is its regular “behind-the-glass” training sessions for teachers. Small groups of teachers observe another educator leading a lesson through a two-way mirror, and look to see how the child solves problems. After the lessons, teachers discuss ways to shift their instruction based on the observations. "We try to find the balance of what the child is able to do on their own, what they're not able to yet, and the way we can get them there," said Tuttle Elementary School reading specialist, Amy Bates. Sarasota County is the only public school district in Florida offering the program. It exists in large part because of a local couple who pitched the program to the Gulf Coast Community Foundation. Retirees Keith and Linda Monda first learned about Reading Recovery when they lived in Ohio. 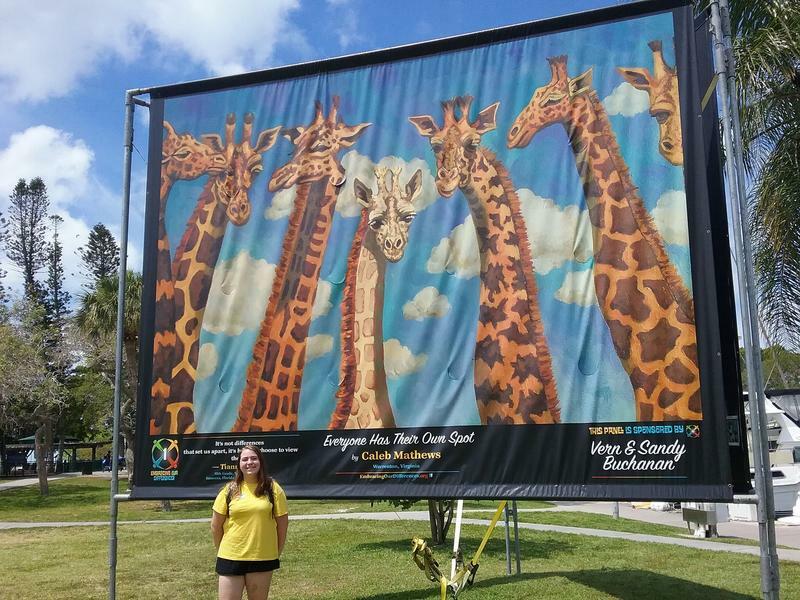 Keith Monda said if the Sarasota school district was willing to partner, the couple wanted to make a philanthropic investment that would matter to children in Sarasota. "We'll put our money on the table and you put your money on the table and let's see what comes out,” Monda said of bringing the topic to the attention of Sarasota school leaders. “I think a lot of times that makes a big difference. 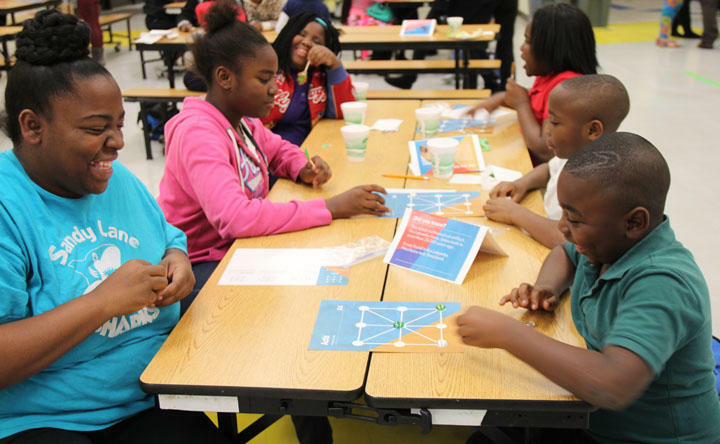 It's not that school systems or not-for-profits are unwilling, they just can't take the risk." The overall cost of the Reading Recovery program this year in Sarasota County Schools is $1.46 million. That includes covering the cost of half the salaries of 34 teachers, a teacher leader, and the training, curriculum and consultant costs. The program's expansion this year is the result of a public-private partnership that also includes the school district and new donors. Funding also comes from federal Title I dollars, district money for non-Title I schools, the Gulf Coast Community Foundation and the Charles & Margery Barancik Foundation. The philanthropic investment in traditional public schools is a contrast to current trends where money is flowing away as part of state tax credit programs. Currently, 17 states including Florida, allow people and corporations to set aside part of their state tax bill for school voucher scholarship programs. In Florida, many are used for private or charter schools. Veronica Brady, of the Gulf Coast Community Foundation and Sarasota philanthropist, Keith Monda. 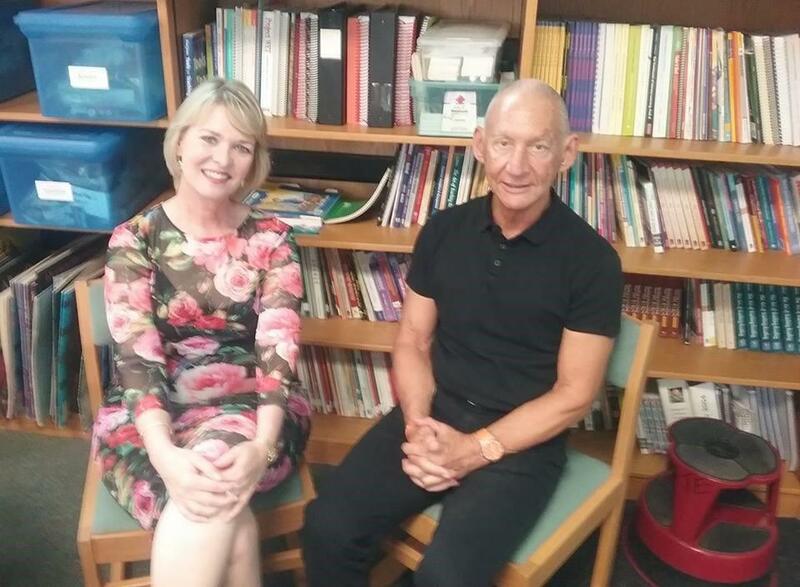 While Reading Recovery is only available to first graders in Sarasota now, Monda and one of his partners, Veronica Brady of the Gulf Coast Community Foundation, say they hope more donors step up to get Reading Recovery to all of the state's public school districts. "We're committed to continuing this here in our county and we're committing to spreading it throughout the state and finding willing partners who would like to do that," he said. "We could offer a sort of playbook on how it could be done." The full impact of Reading Recovery will be clearer in 2020. That's when all of the first graders in Sarasota who are participating in the program will be in the third grade. And that's when they'll find out if they pass - or fail - the state's reading comprehension test. Research by the Brookings Institution shows that poor children do worse in school partly because their families have fewer financial resources, but also because their own parents tend to have less education and higher rates of single and teen pregnancy. A national home based early learning program with chapters in Florida is aiming to level the playing field. There's little doubt that America is becoming more diverse. Perhaps nowhere is that more evident than in the nation's public schools. But differences can extend beyond race and ethnicity, as students in Sarasota County are learning.